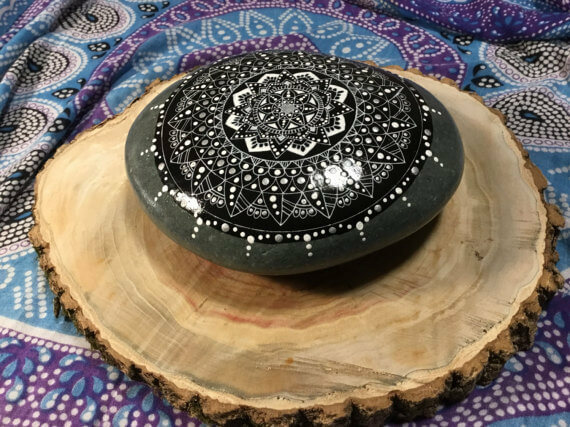 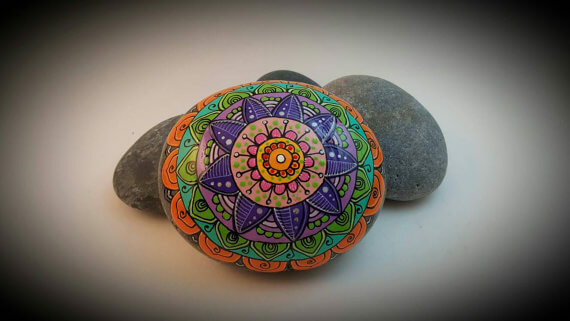 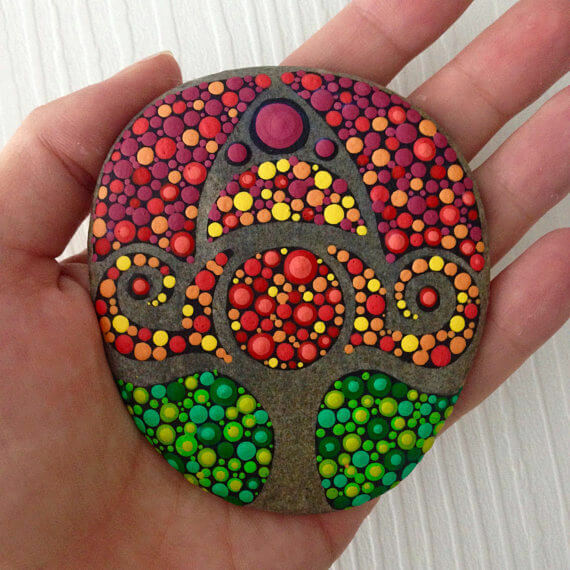 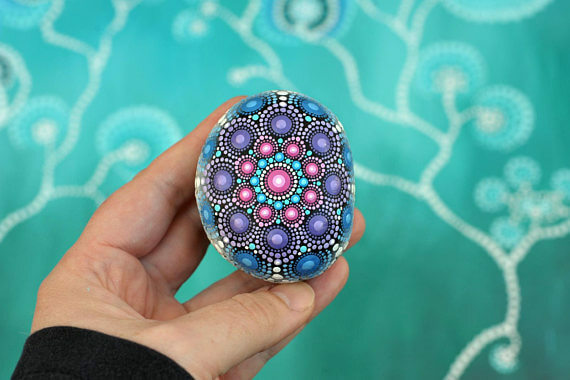 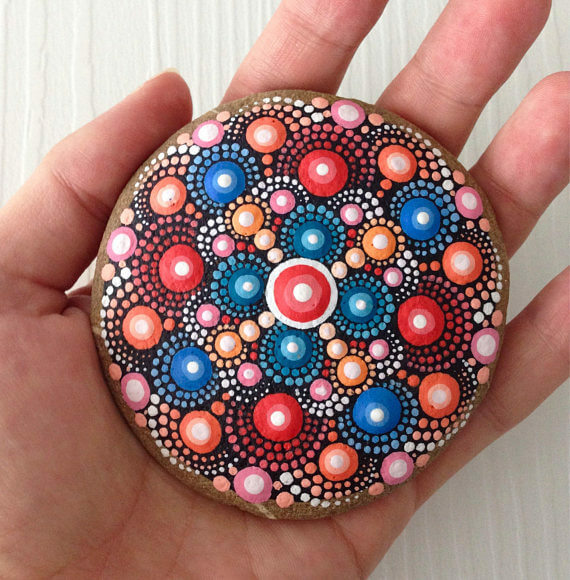 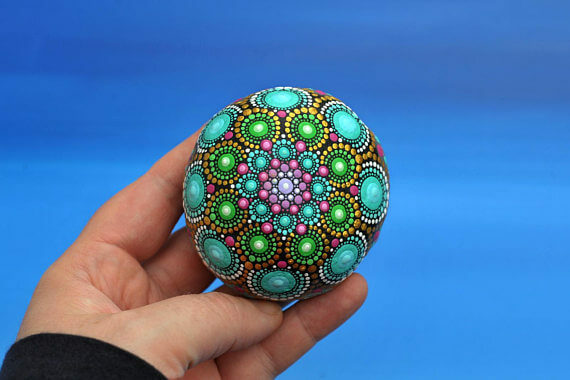 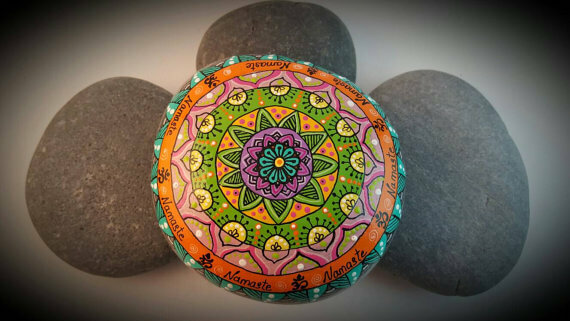 Mandala Stone Arts by AnjaSonneborn (Etsy). 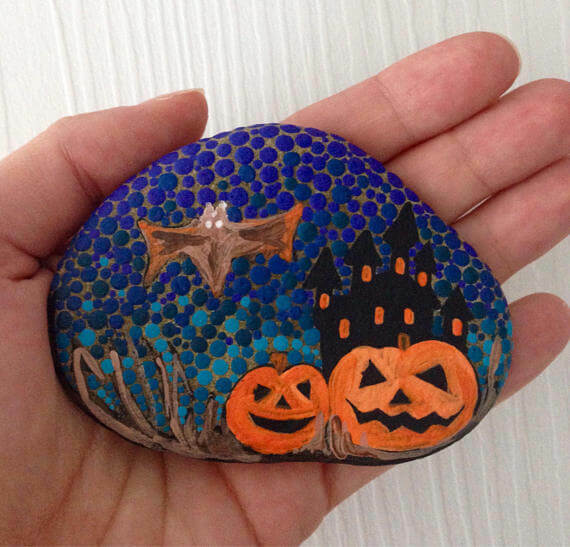 Painted Stones by CAVE SPRING CRAFTS. 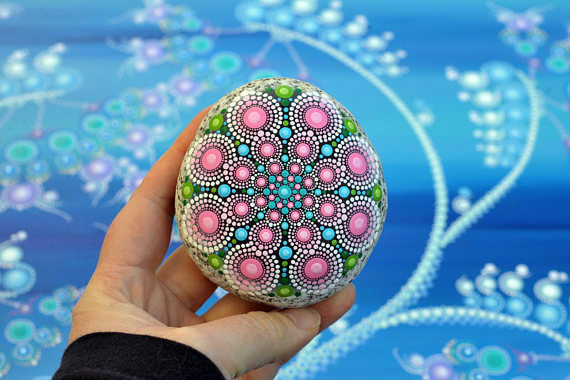 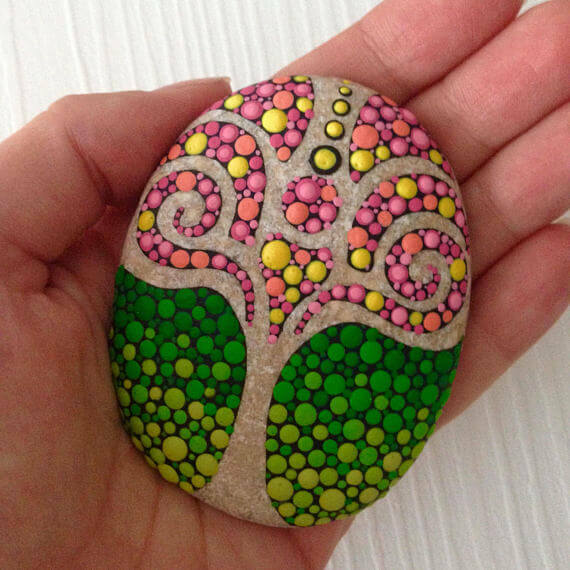 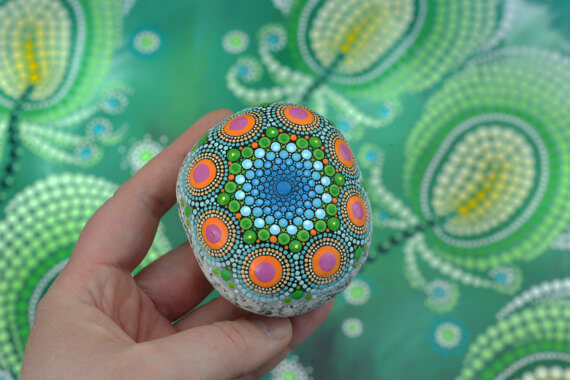 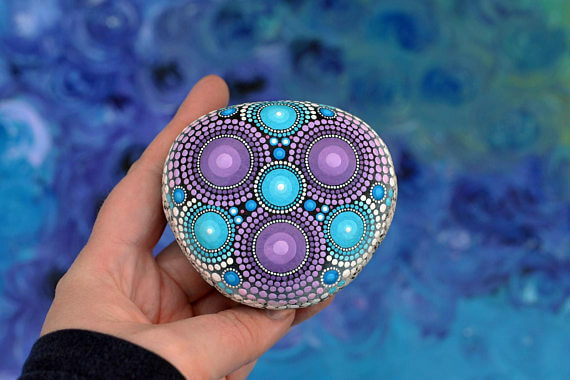 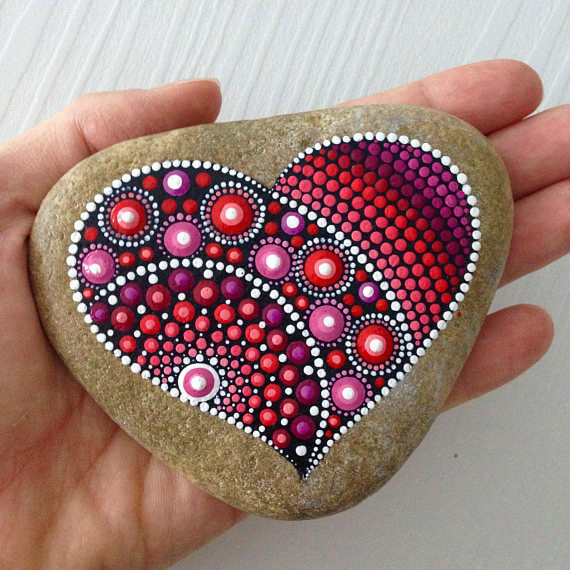 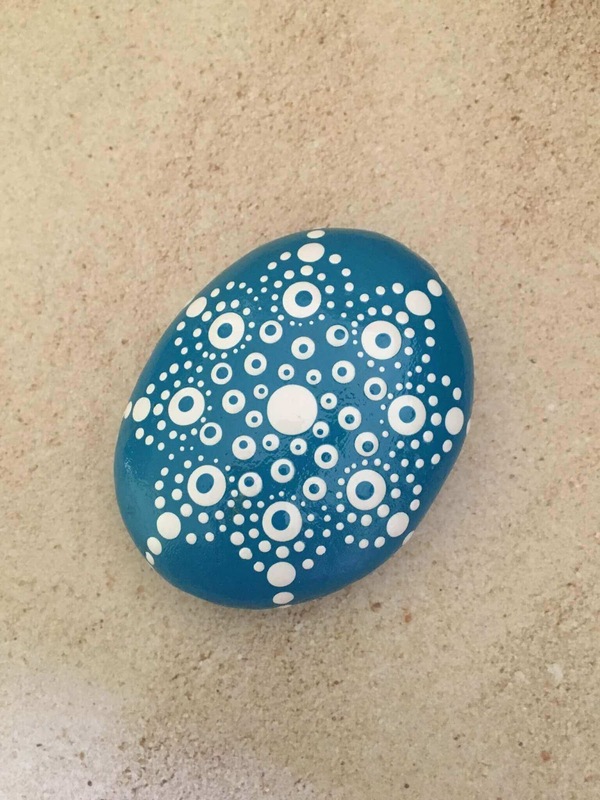 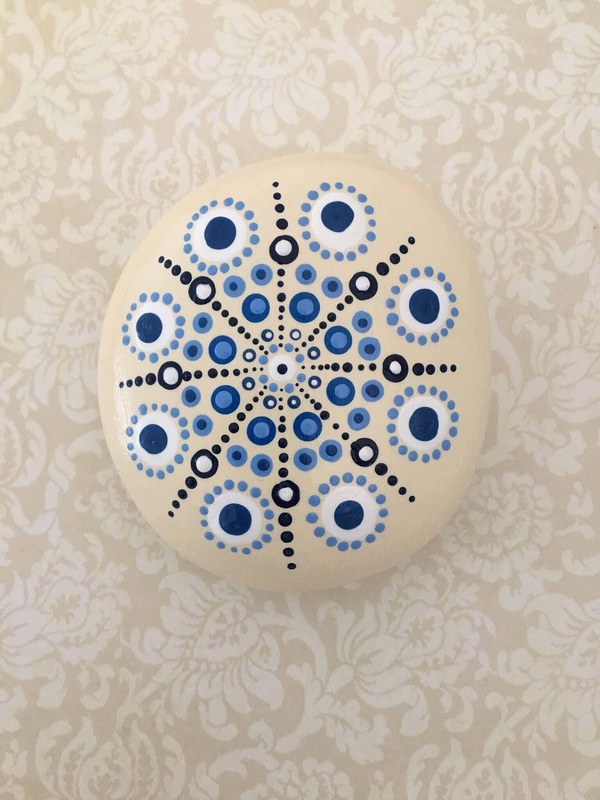 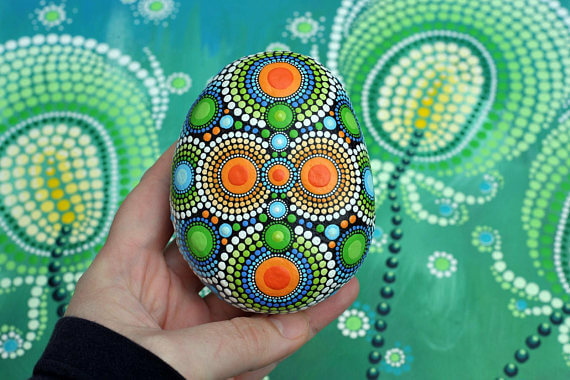 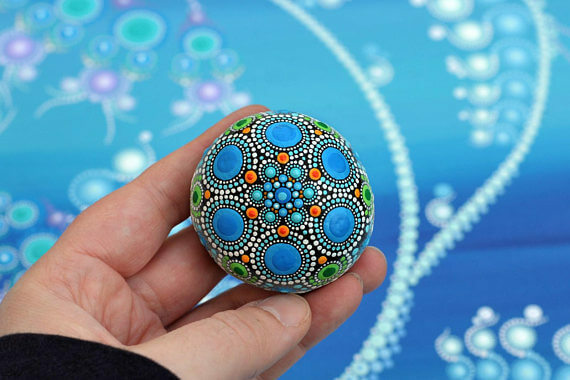 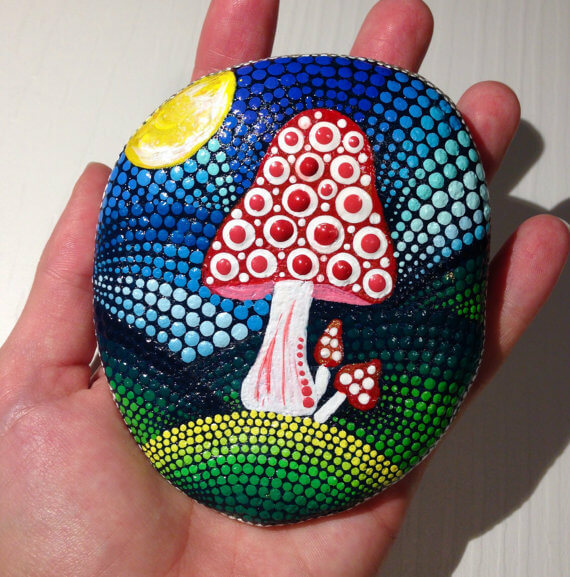 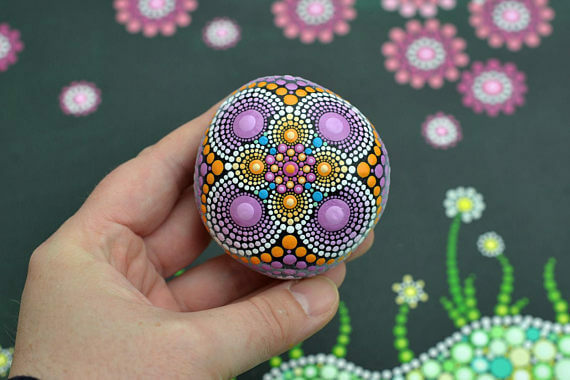 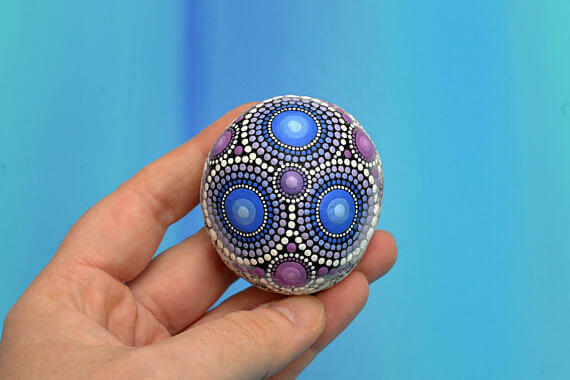 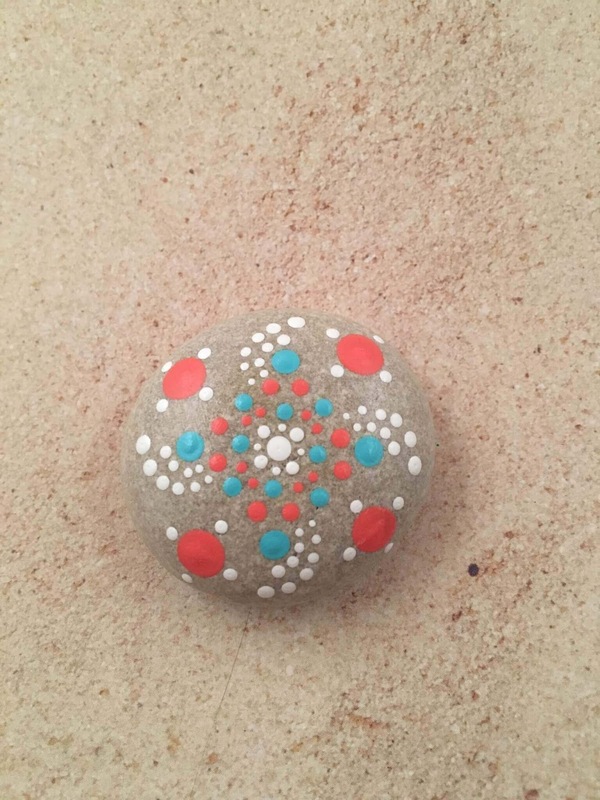 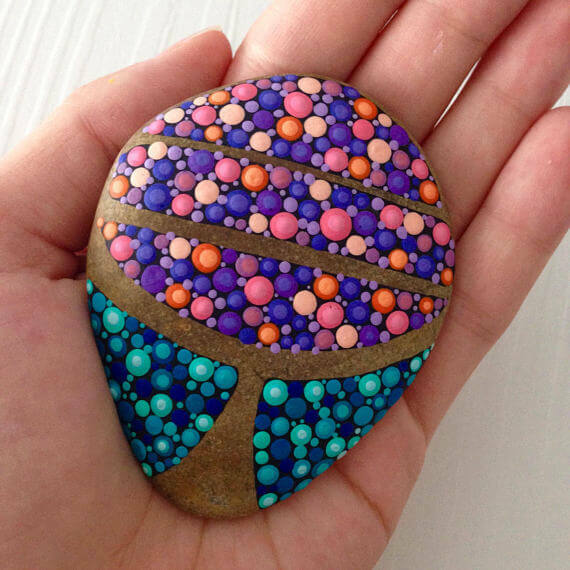 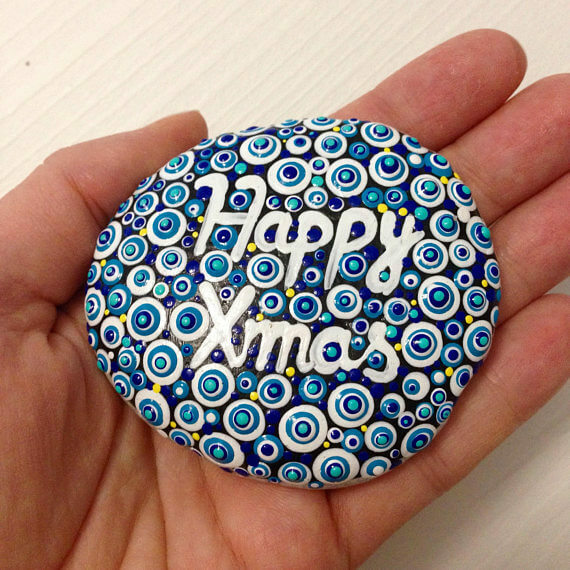 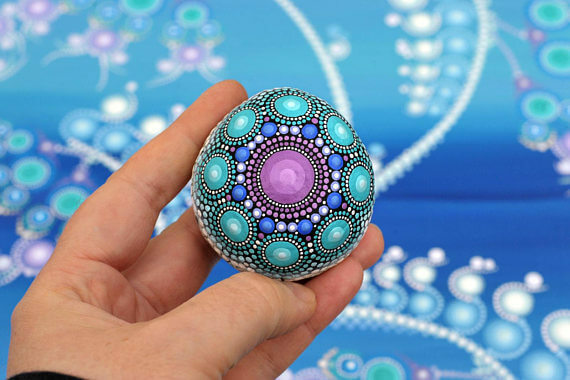 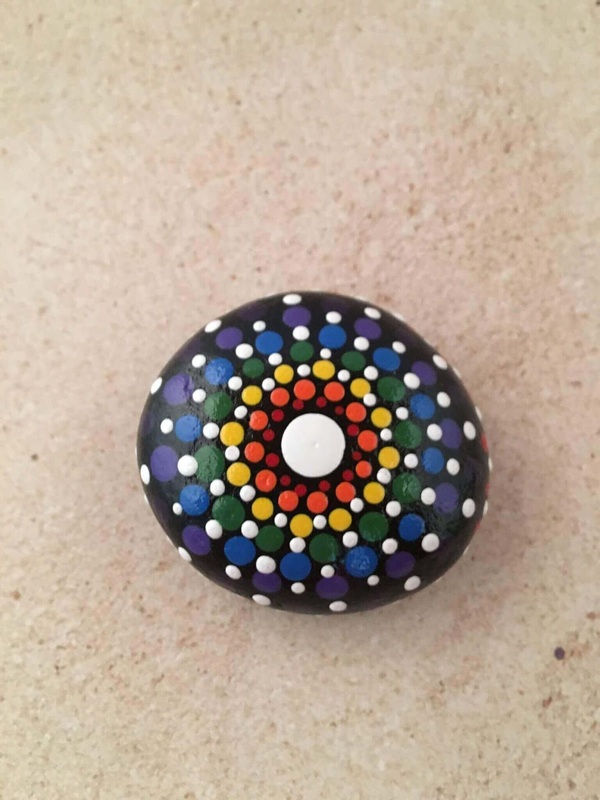 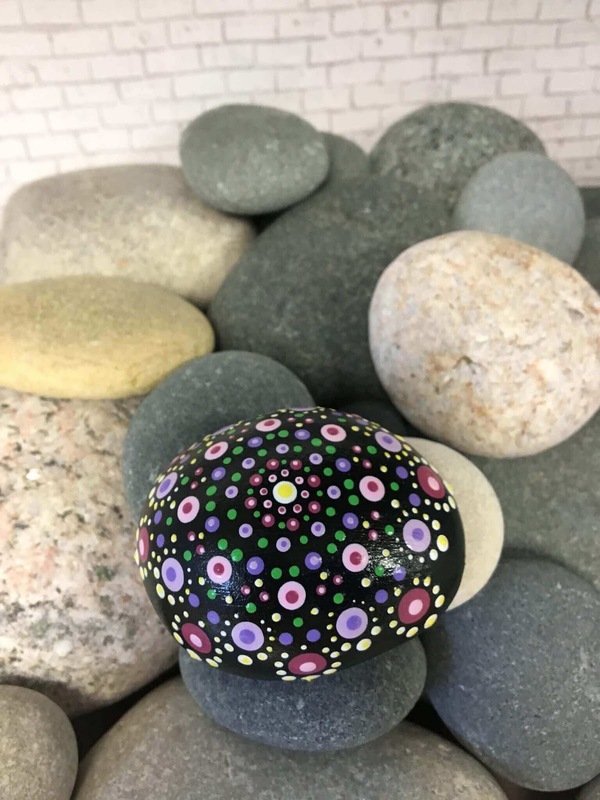 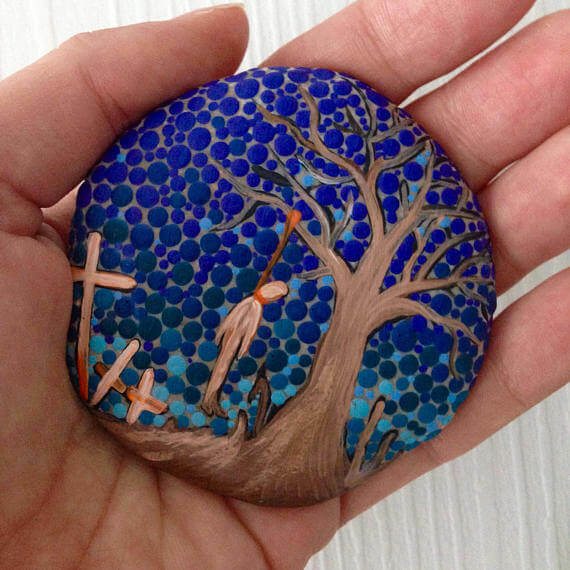 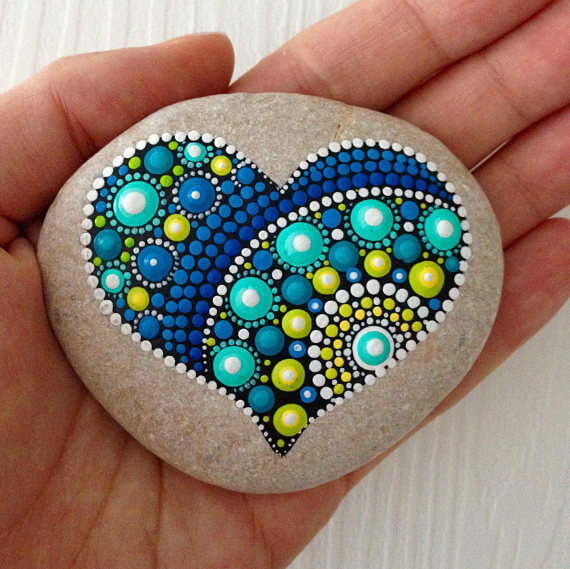 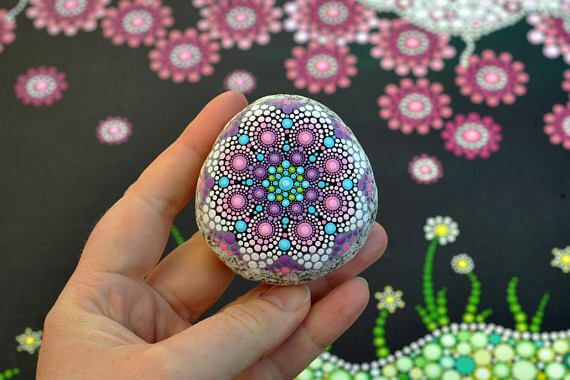 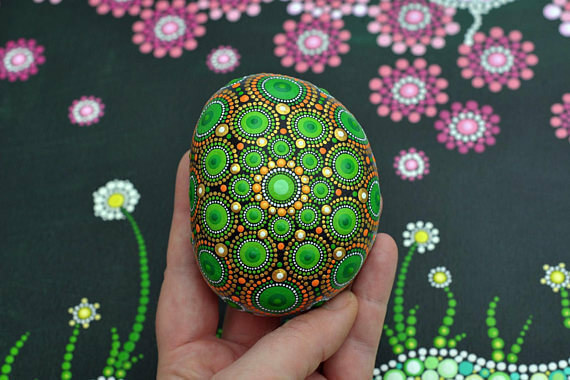 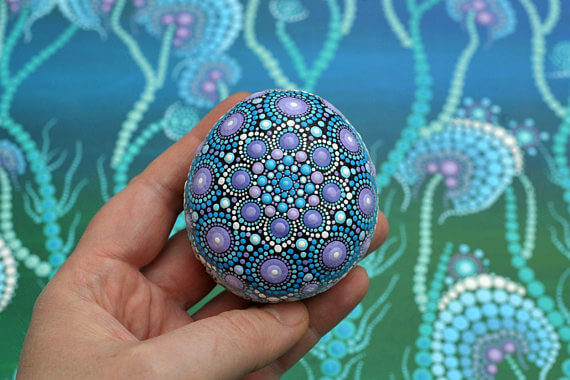 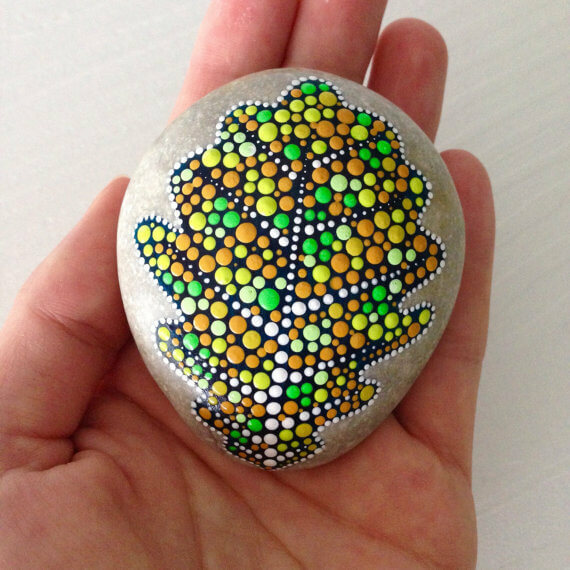 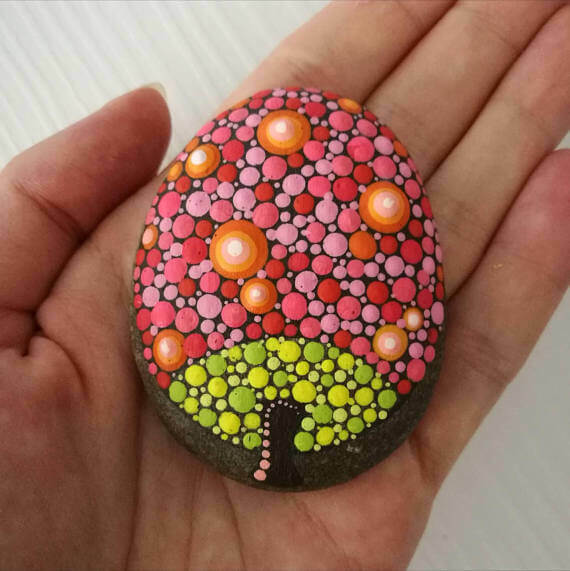 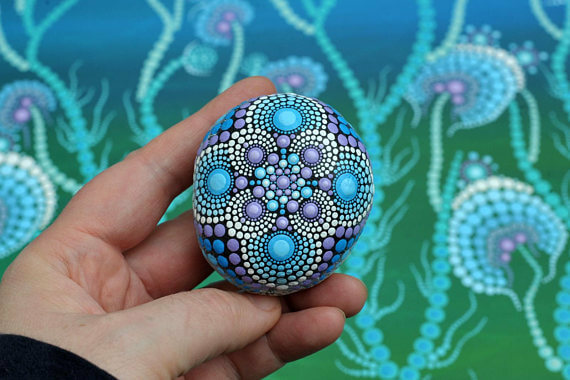 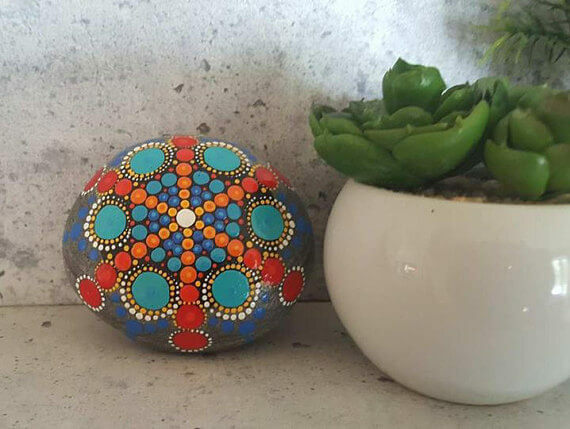 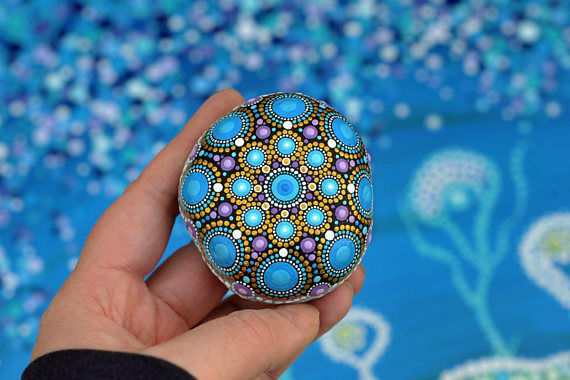 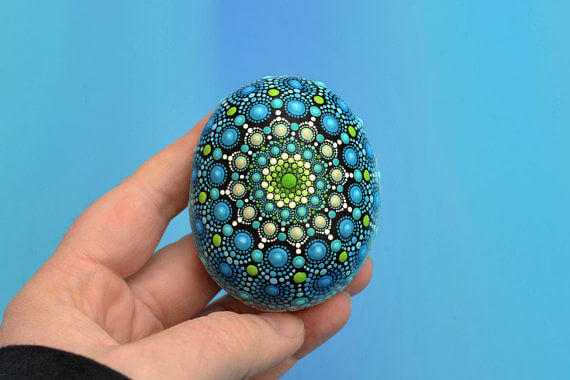 Dot Art Painted Stones by CreateAndCherish (Etsy). 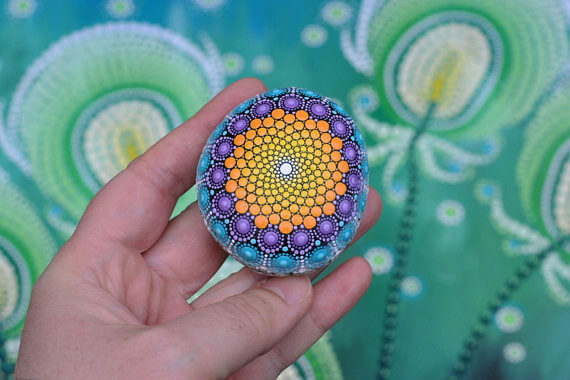 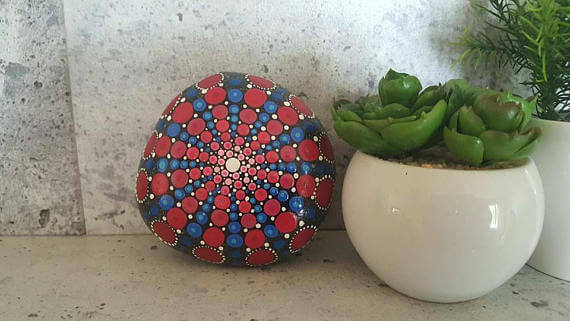 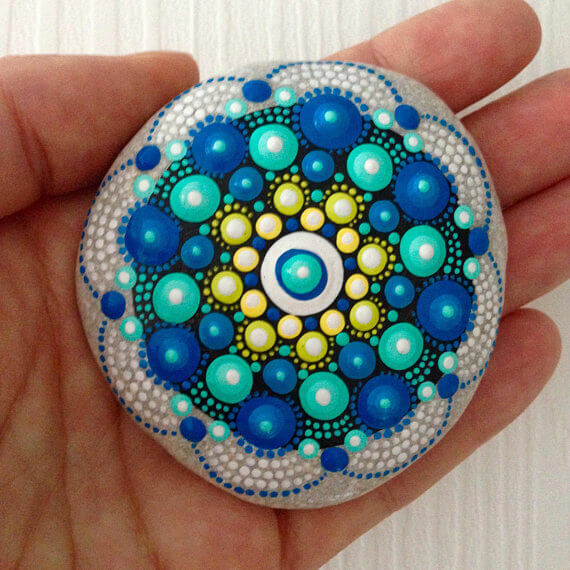 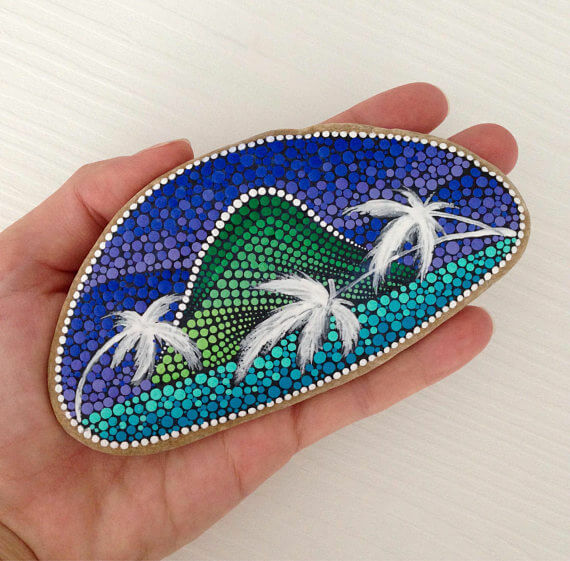 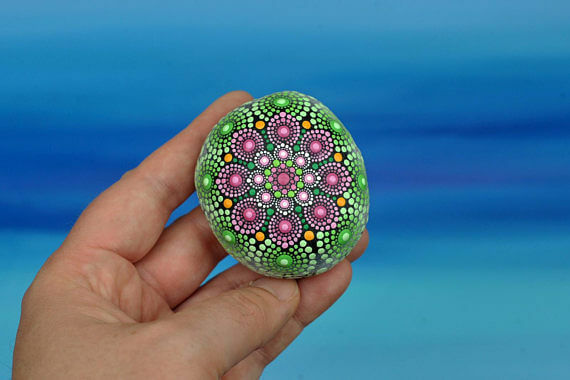 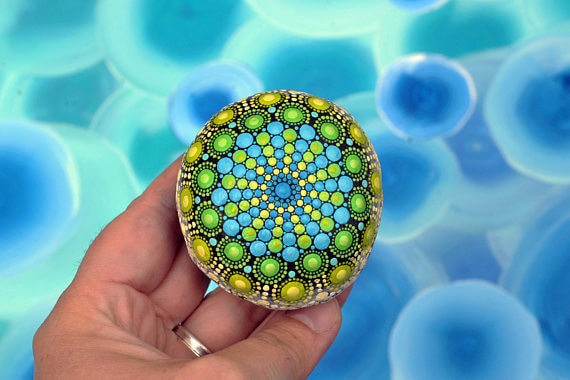 Large Mandala Stones by PierreduCoeur (Etsy). 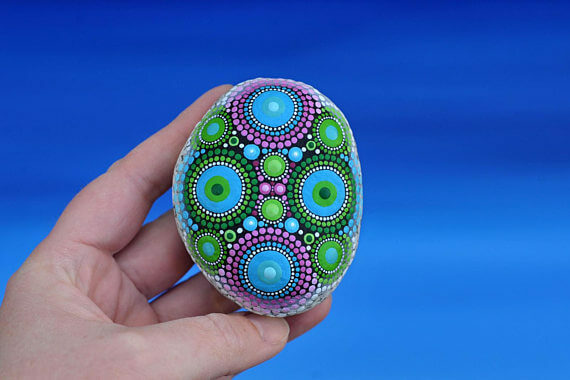 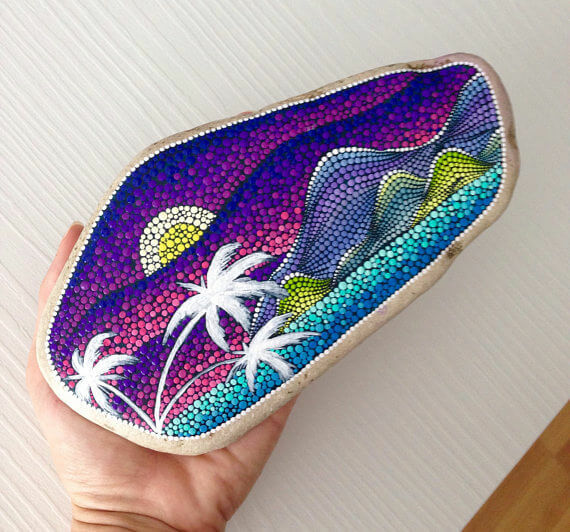 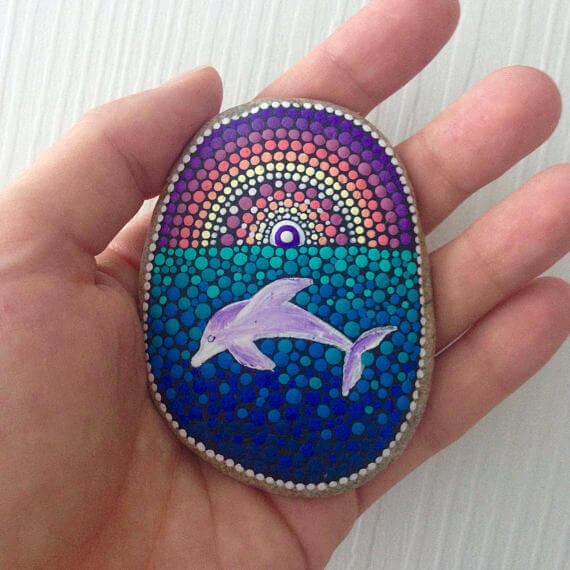 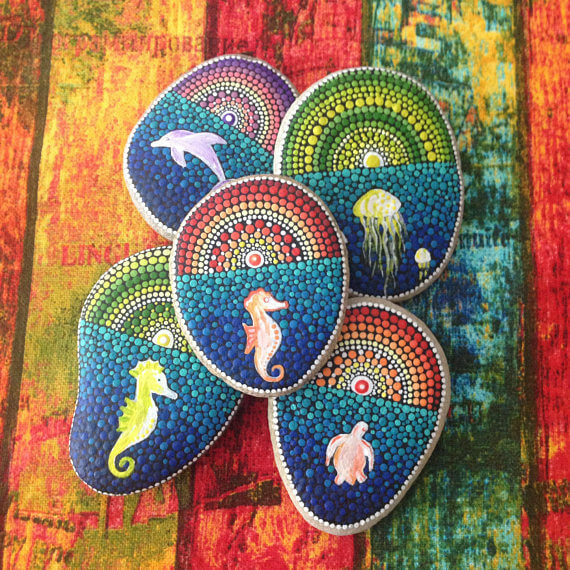 Read this post if you are looking for Mandala Stones Pattern Books | Mandala Stones Dotting Tools | Dotting Stencils.